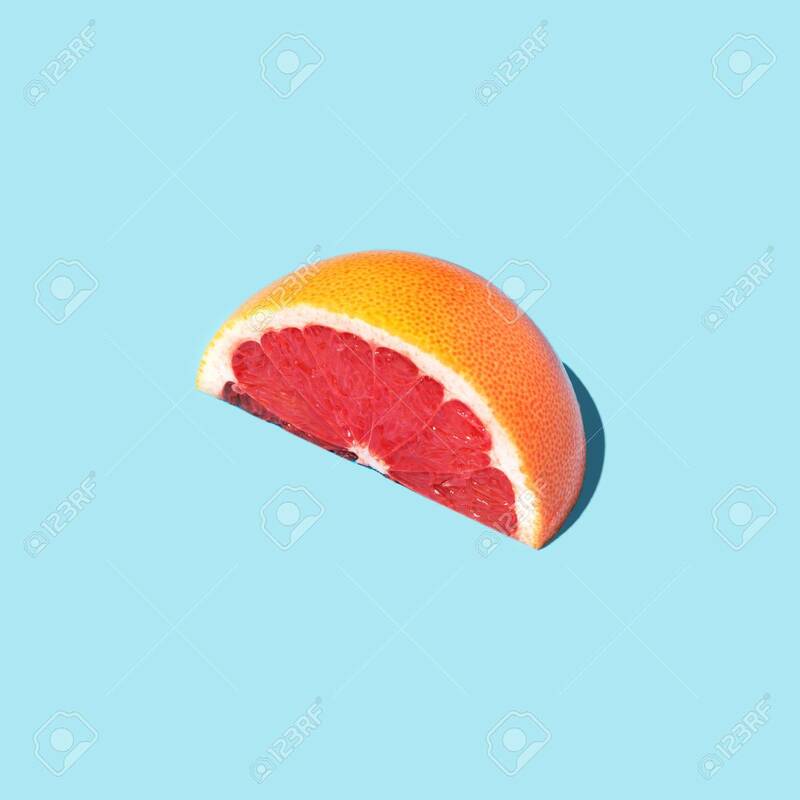 Beautiful Food Fashion Concept With Half Slice Of Grapefruit On Blue Background. Square. Lizenzfreie Fotos, Bilder Und Stock Fotografie. Image 114371094. Standard-Bild - Beautiful food fashion concept with half slice of grapefruit on blue background. Square. Beautiful food fashion concept with half slice of grapefruit on blue background. Square.